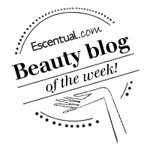 BeautySwot: The Return of Revlon's Fire and Ice! 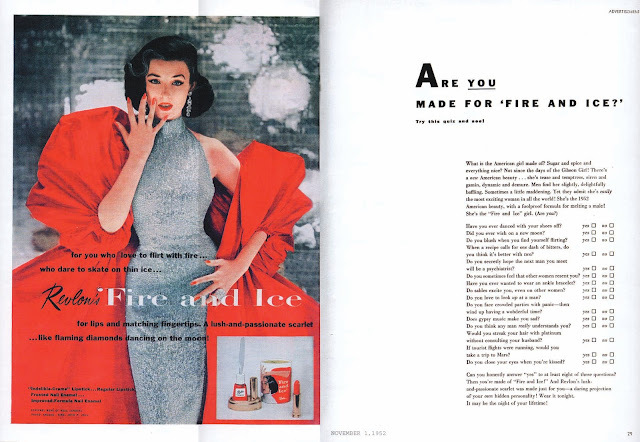 Revlon's Fire and Ice Lipstick and Nail Enamel were launched in 1952 and became one of the most iconic beauty launches and ad campaigns ever. It featured the rather strikingly beautiful Dorian Leigh and a full page quiz that asked if you were made for Fire and Ice. 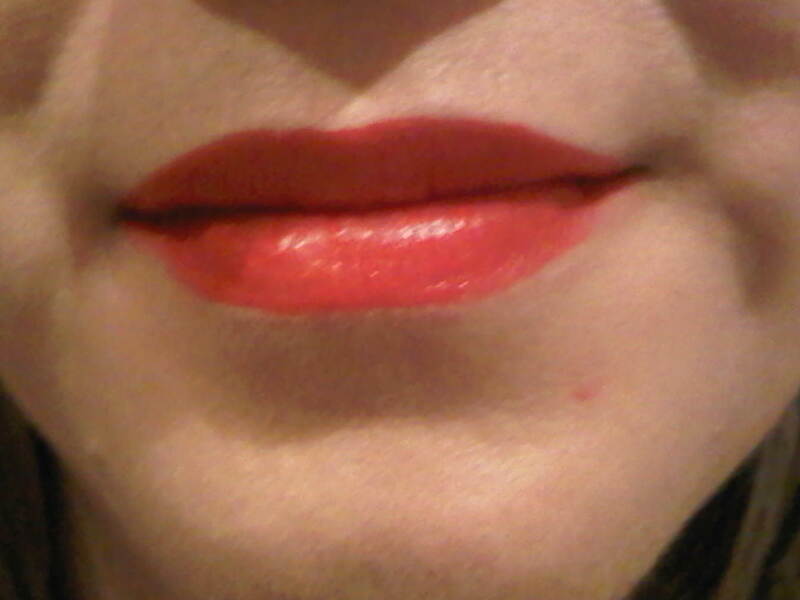 It is not a colour I have embraced until recently when I felt I had finally found a red lipstick that suited me and so I was excited to try this red and I have to say it didn't disappoint but it is very bright !! This is a beautifully creamy full pigmented lipstick that is so smooth to apply and well I fell it love with it! I have mentioned before that I always steered clear of red polishes as my hands and nails are tiny ...but have this year tried red and well it looks cute. I love this version from Revlon (one of my favourite nail enamel brands) Such good quality, this is a simply gorgeous red. I only applied one coat for the picture below. I feel naughty lol! red lipstick looks gorgeous on you!